and a little patience, too! Melt your chocolate according to package directions. Begin by inserting the pointed end of candy corn in an Oreo; this will be your tail and feathers. 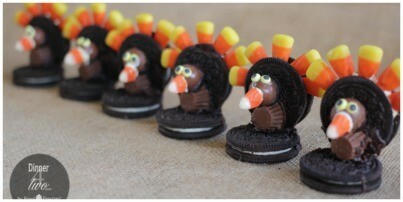 Next put melted chocolate on the bottom and side of the Reese’s Cup, set on an Oreo leaving enough space behind to add the tail feather Oreo. Hold it in place to give it a few minutes to harden and set. 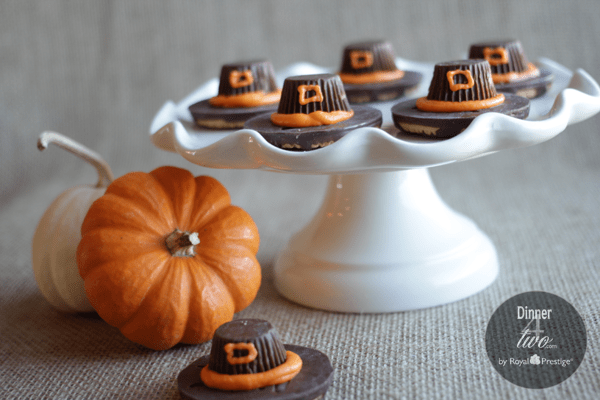 Put some melted chocolate on the malted milk ball and set on top of Reese’s Cup; let the chocolate set. Cut off the yellow end of a candy corn to use for the nose by applying melted chocolate to the cut off end of the candy corn and placing to the malted milk ball – be sure to hold this in place until chocolate sets. The final step is to add chocolate to the googly eyes and place on the head. 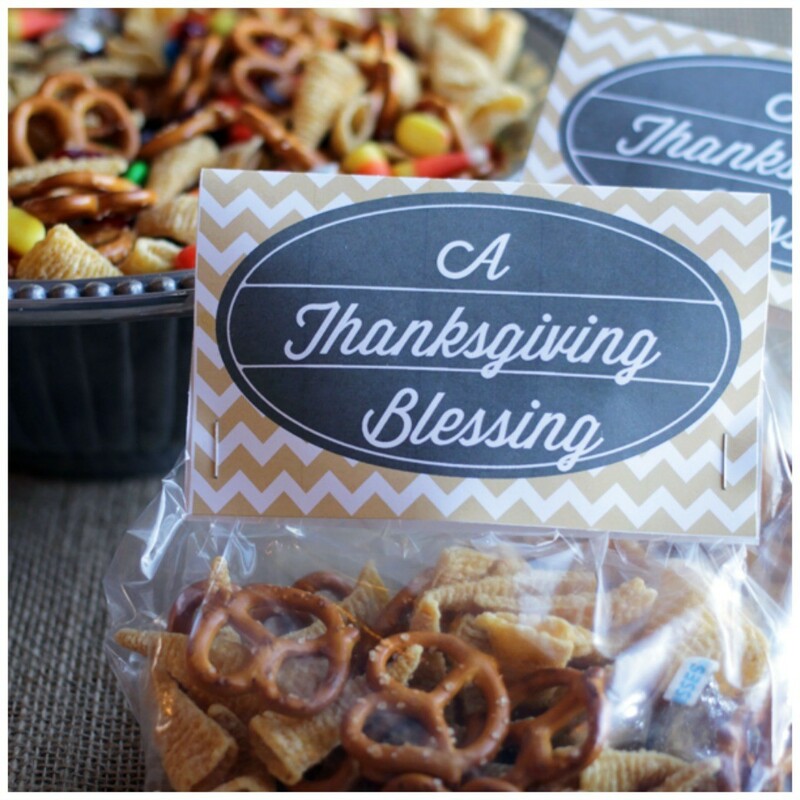 Enjoy these cute little treats with your Thanksgiving Guests!